Kylie Hammond Executive Search & Coaching Group is a unique firm in the Asia Pacific region. The firm is 100% candidate-centric in its approach, and partners with candidates who meet with Kylie’s stringent criteria in a highly professional and confidential way. Kylie has developed quality relationships with a mixture of National and International clients across a wide-range of industries. With loyal relationships with blue-chip clients in the Information Technology, Communications & Media, Professional Services, Property & Construction, Pharmaceutical, Banking & Financial Services, High-Tech, Legal and Venture Capital markets, Kylie is well placed to provide sound career advice and recommendations to our executive candidates. We pride ourselves on developing relationships with small to medium sized, stable companies with a bright future who are seeking top talent to assist with their growth and expansion plans. Complete confidentiality of all candidate applications and discussions is guaranteed. Candidate names and other confidential information are provided to a client only after you have provided your consent for us to do so. Kylie Hammond operates very differently to many recruitment & executive search firms in the market. We are almost always retained exclusively by our clients to work on their behalf, to search for top talent for specific employment opportunities.We work with a select group of clients, and as such, our candidates are guaranteed assignment exclusivity, exclusive representation and accurate information about the clients that we represent and the recruitment process. Prior to moving forward with an opportunity, candidates are interviewed by Kylie, or one of our experienced Executive Search Consultants and briefed thoroughly to make sure that there is an appropriate match of skills, experience, as well as cultural fit with our client organisation. We take the time to understand your career aspirations, your ideal next career move, and brief you fully on the opportunity. Top Talented Executives are increasingly seeking a more proactive approach to career management. 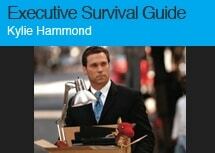 Kylie Hammond is one of Asia Pacific’s leading Executive Search Consultants and Executive Career Coaches. Kylie combines this experience and capability with over 15 years of business experience and indepth understanding of Human Capital Management programs, and offers our most senior candidates and emerging talent an exclusive, invitation-only approach to managing your executive career. With Kylie Hammond by your side as your exclusive Talent Agent to assist with your next career move, success and amazing results are within reach. For the Executive who wants to manage, lead and take control of their career, this innovative approach is a market-leading, exclusive Executive Career Management Service. Effectively, many Executive Search and Recruitment firms chose only to represent the interests of the hiring company. Kylie Hammond is unique in the Asia Pacific region, as one of the only Executive Search Consultants who will assist and represent the Executive’s best interests during the end-to-end search and selection process, in a highly confidential and professional way. This approach is only offered to our most senior executives and emerging talent who match Kylie’s stringent criteria. Kylie’s services include helping the Executive in managing their executive career management strategy, developing their career portfolio, identifying upcoming career opportunities, identifying entrepreneurial opportunities, fielding employment offers, leveraging Kylie’s network of ‘C’-level contacts around the globe, proactive job search assistance, introductions to other top Executive Search Consultants, and when appropriate assisting with salary and employment contract negotiations. Talented & ‘Want To Be Headhunted’? As a young dynamic Executive Search firm, we are constantly on the look out for Top Talented Executives and Emerging Talent. We have published a number of high profile advertising campaigns in the Sydney Morning Herald and The Australian to help us identify and attract top talent to register with our firm. When you register your resume details with Kylie Hammond, we have an opportunity to discuss upcoming senior executive assignments with you and assist you confidentially with future career moves. Your confidentiality is assured and you will find our approach is refreshing and very candidate-centric. At any given point in time, we have Executive Search assignments in progress, and we are always on the lookout for talented executives who hold a ‘C’-Level and other Senior Executive positions. Please visit the Online Shop to view the products and services on offer and current pricing. Kylie has personally developed a unique range of products and services exclusively for the Executive Candidate that cover all aspects of career management. 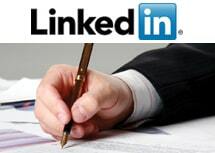 These include our highly popular Executive Resume Writing Services which include Resumes, Corporate Biographies, Statements of Capability & Selection Criteria, Customised Cover Letters, as well as a range of Interview Coaching, Online Personality Tests, Job Analysis Testing, Career Assessments & useful HR Assessment Tools, Executive Coaching & 360-Degree Assessment products. Please register your details by emailing your resume & cover letter by clicking here or calling 1800 RESULTS, 02 9922 6175 and ask to speak to Kylie Hammond or one of our Executive Search Consultants. Alternatively, consider booking an exclusive Executive Career Guidance Session. A fully tailored Executive Career Guidance Session, designed for the Executive needing career guidance and wishing to explore either career options or entrepreneurial ventures. Includes review of current resume/CV & relevant marketing documents, a 90-minute career guidance session with an experienced Executive Career Coach or Principal Search Consultant. Meetings in Sydney are conducted with Kylie Hammond or one of her personally selected team. Delivery Time: Scheduled within 1 – 3 business days of booking. To book visit our Online Shop.